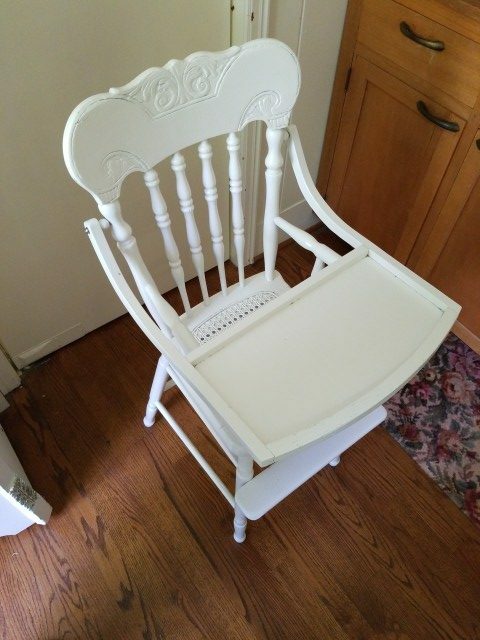 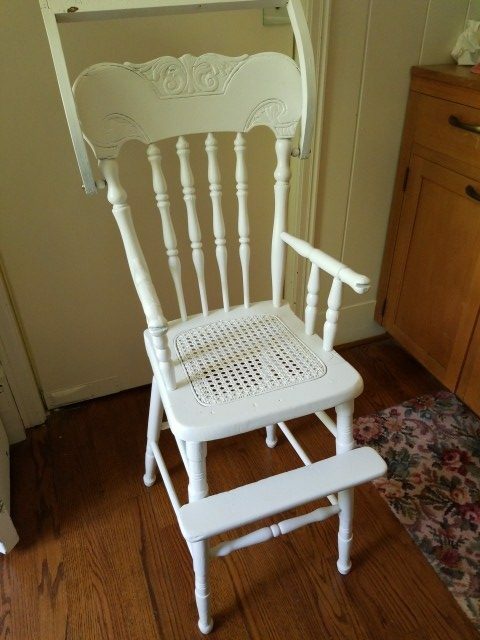 Antique Wood High Chair which appears to have been oak at one time but now it is painted a cottage white color and is ready to add a pop of sweetness to any room. 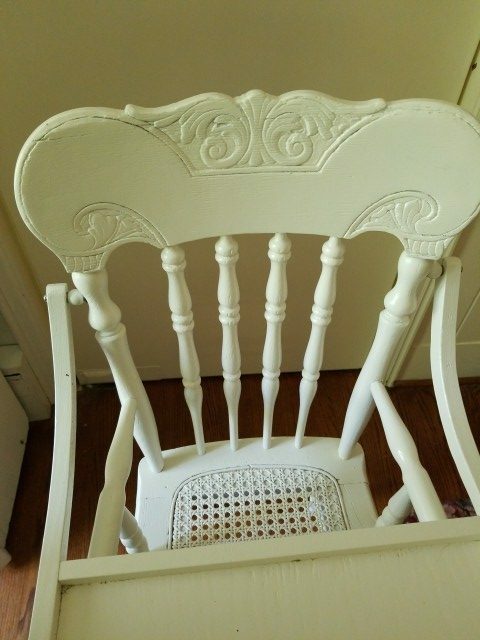 It has some carving at the top back, spindle sides and back, and foot rest. 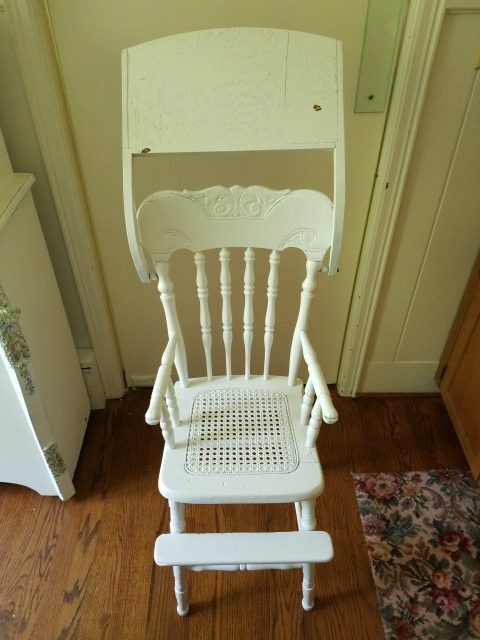 The caned seat is also painted. 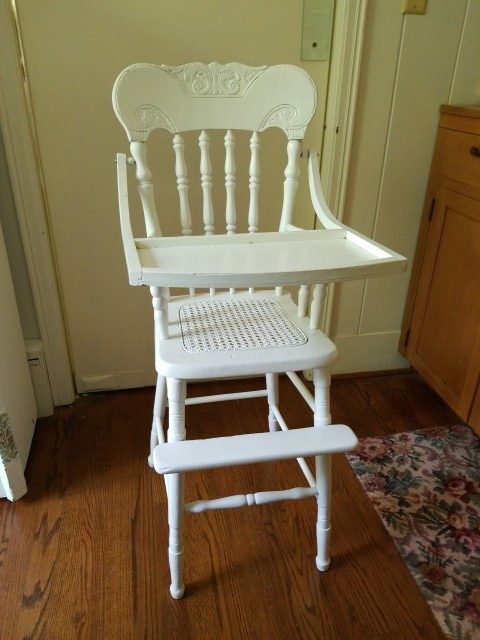 Measures 39.75 inches tall by 16 and 1/8 inches at widest area which is the tray/table part. 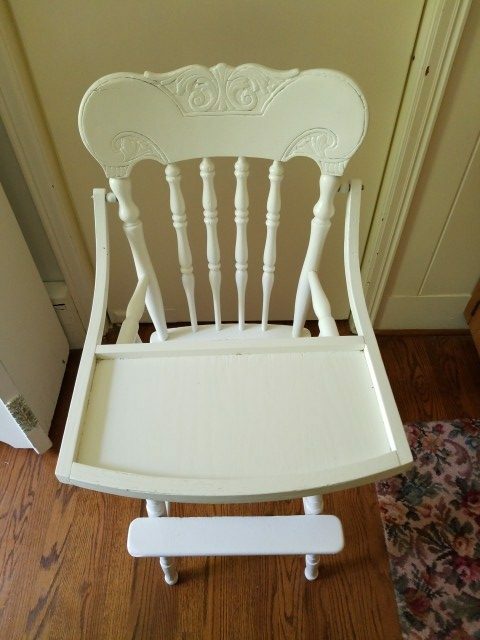 Minimal paint wear and sturdy. 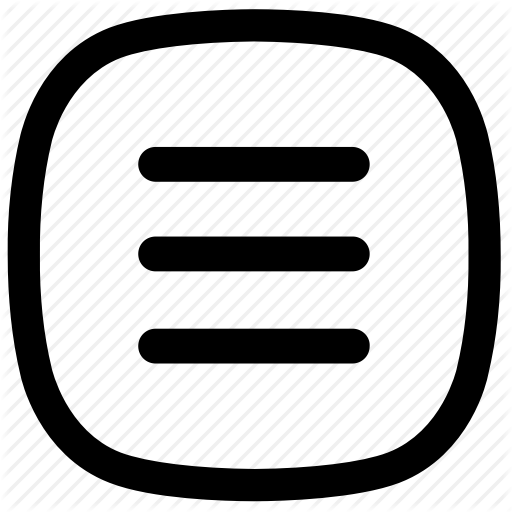 Please contact me for any shipping arrangements including price and method.